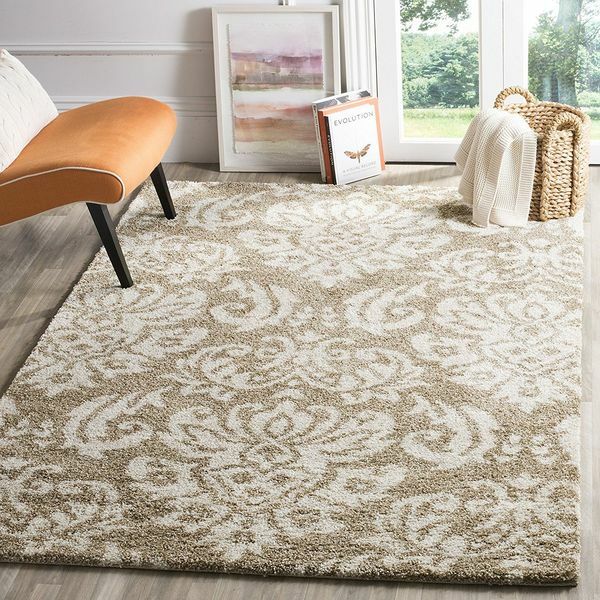 With the Contemporary Chic Damask Area Rug, you can incorporate all of the beauty of a damask rug into your space without sacrificing your modern style. The rug is made with ultra-strong polypropylene pile fiber that is not only incredibly soft but hardwearing as well. 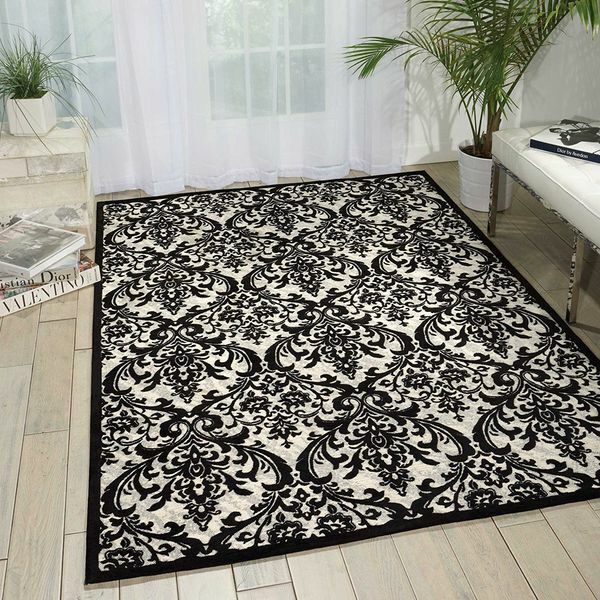 Full of stunning damask patterning in a neutral black-and-white color scheme, the Nourison Damask Contemporary Area Rug allows you to dress up any room while fitting into any color scheme of your house. The design is made from fade-resistant, stain-resistant and easy-to-clean material. 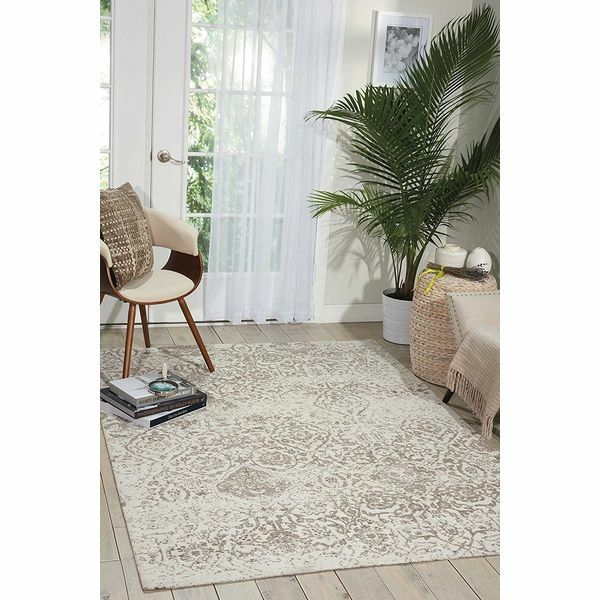 With its neutral beige and cream hues and classic damask patterning, the Safavieh Florida Shag Collection is a gorgeous and simple way to add personality to any living space. The design made from ultrasoft and durable polypropylene material that is easy to clean and won’t shed. The Royal Damask Boroque Vintage Look Area Rug features intricately designed damask patterning crafted using black, gray and white hues that give it a neutral color scheme for smooth incorporation into any room. The design is naturally resistant to stains as well as fading. Intentionally faded to give an antiqued appearance, the Damask Vintage Distressed Area Rug is a classic-style rug that will easily work with any traditional style decor in the home. The rug is made from a stain-resistant and fade-resistant blend of 83 percent polyester, 14 percent cotton and 3 percent rayon. Add subtle style and a burst of color to any room with the inclusion of this Modern Transitional Damask Soft Area Rug. 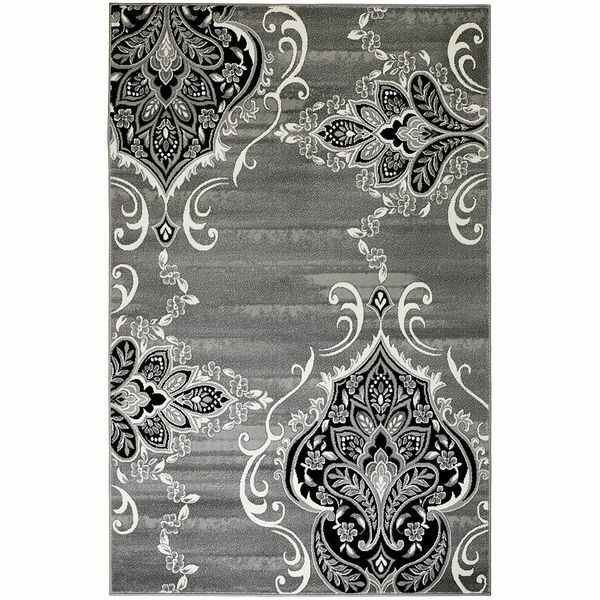 The area rug features blue, gray, black and white damask patterning broken off into different sections to give it depth. The rug is made from strong 100 percent polypropylene material.